Format: This tournament will be unranked and in accordance with the Burst Classic experimental ruleset. This means that most God and Cho-Z layers are banned! Please refer to the first post in the Burst Classic Format thread with any questions about part legality. Location: This event will be held indoors at Sage Mantis Game Haven. Please note that although WBO tournament entry fees are waived, there will be a $5 venue fee charged by Sage Mantis for all players, including passport owners. Time: As the tournament will start promptly at 12:30pm, please plan to arrive around 12:00pm when registration will begin. Registration will close five minutes before 12:30pm, at which point players who have not registered will be unable to play. Confirming your attendance on the WBO event page does not substitute for registration at the venue. Please come prepared. It is helpful for both hosts and judges if all participants bring at least one Takara Tomy or Hasbro-manufactured Beyblade of their own and more than one launcher when possible. Additionally, please note that space at the venue is very limited! Non-competing guests are encouraged to keep a safe distance away from the tournament area so we can allow as many bladers to participate as possible. Hey guys! I am SO excited to host this event (especially since I helped create the format) Please PLEASE read the tournament description because this event will be very different than our last! The tournament will be unranked and although WBO fees are waived for the month, a $5 venue fee will be charged for all players by Sage Mantis Game Haven. If you have any questions about the format, please refer to the link in the description. We will be running Burst Classic Experimental Format, meaning that most God layers and all Cho-Z layers are banned. Also, I'm in the market for a Takara Tomy attack tip. If anyone has an (Xtreme|Jolt)'? they'd be willing to sell or trade at the tournament, please let me know. Hell Salamander needs his go juice, from a sippy cup. I have mostly Hasbro God Beys and parts. Very few TT. EDIT: I have a spare Hasbro Atomic tip (blue on blue) I'd be willing to part with for a decent TT attack tip. Used 0-1 times. I am a maybe. The experimental format is confusing to me. I still want to go, but may have a conflicting schedule. I’ll likely make it work. (Jan. 17, 2019 11:44 PM)jackpotgodzilla Wrote: I am a maybe. The experimental format is confusing to me. I still want to go, but may have a conflicting schedule. I’ll likely make it work. i hope I can make it too. I think I have a pinewood derby race that day and a possible hockey tournament in Baltimore but it may be on Saturday and I am just mixd up on dates. Even so, maybe I can skip one of them. My son just got into Beyblades. Is it ok to stop by and watch? Looking forward to seeing the results of the experiment! 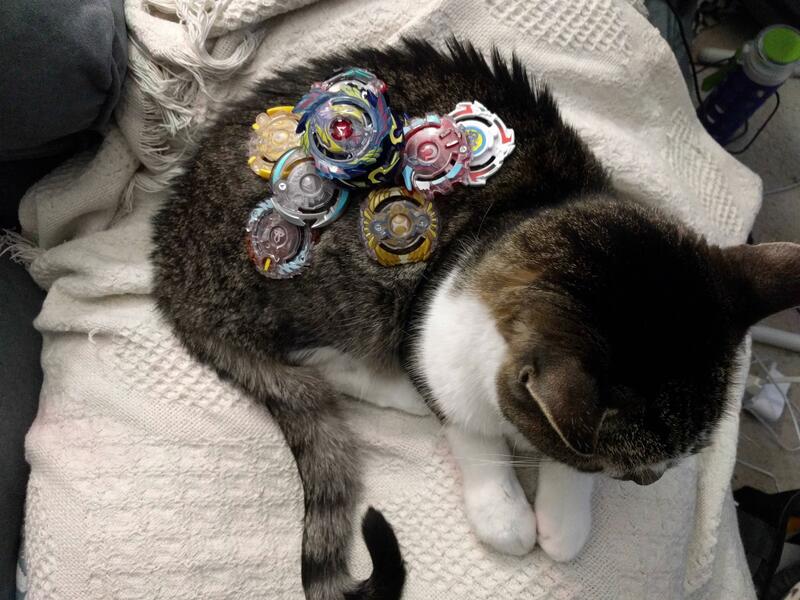 "space at the venue is very limited for non-competitors" according to the announcement post, but I believe that even if you bring them without beyblades other people will have beys they could use for the duration of the tournament. At the very least, I would let them borrow a few beys to use in their matches, if they promise to be careful with them. So they could participate! Or they could play against people currently not in a match if they don't want to participate in the tournament. Honestly, I'd just say join the tournament. Sure, maybe it won't be a stellar victory (2W7L in my first tournament ) but it is fun. I'm not certain, TSO could probably clarify if the space considerations are that dire. (Jan. 17, 2019 9:41 PM)The Supreme One Wrote: Hey guys! I am SO excited to host this event (especially since I helped create the format) Please PLEASE read the tournament description because this event will be very different than our last! The tournament will be unranked and although WBO fees are waived for the month, a $5 venue fee will be charged for all players by Sage Mantis Game Haven. If you have any questions about the format, please refer to the link in the description. 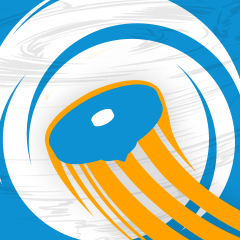 We will be running Burst Classic Experimental Format, meaning that most God layers and all Cho-Z layers are banned. Hey, how do we at-mention people? Wanted to check if Red/Blue/Green Panda2 were aware of this tournament; they might want to show, they're local. Mannn i cant wait till a regular tournament, but this is gonna be a fun throw back session! Also, I think quest is competitive. If I do come to this tournment i can explain why!! (Jan. 20, 2019 8:39 PM)AlphaJay Wrote: Mannn i cant wait till a regular tournament, but this is gonna be a fun throw back session! Also, I think quest is competitive. If I do come to this tournment i can explain why!! Don't worry, we'll definitely have a regular Burst tournament next month Can't wait to see what exciting combos people come up with! And hope you can make it Valkyriology! I may join the tournament,so yeah.I have Jolt,but it somewhat used. (there is a jolt'? )So jolt for atomic? And hope you can make it @[Valkyriology]! 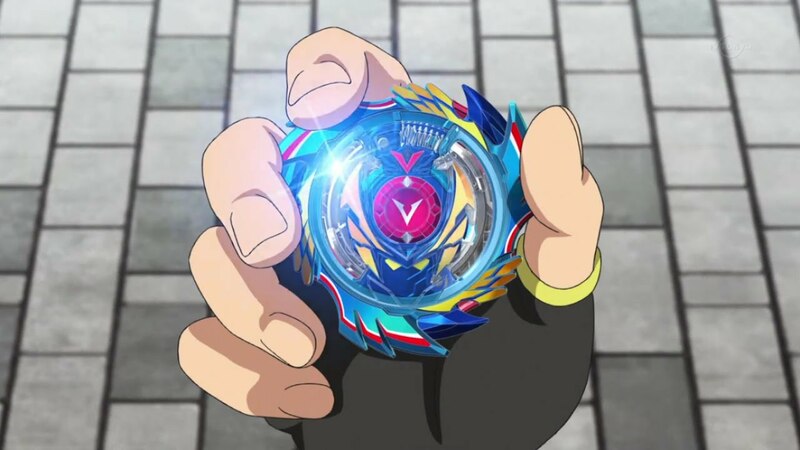 I never got my tournaments in RVA processed.Any reason?Also,is valtryek V1 allowed?And finally,is there anyone willing to trade a jolt for hasbro atomic or bearing?Thanks. (Jan. 20, 2019 11:13 PM)ZzDragonzZ Wrote: I may join the tournament,so yeah.I have Jolt,but it somewhat used. (there is a jolt'? )So jolt for atomic? (Jan. 20, 2019 9:26 PM)The Supreme One Wrote: Don't worry, we'll definitely have a regular Burst tournament next month Can't wait to see what exciting combos people come up with! Actually,I may not be able to come. Hey ZzDragonzZ! I've submitted results & fees and I have preprocessed all RVA tournaments. Unfortunately we are waiting on results and fees from other regions' tournaments to be submitted before ours can be processed. I’m in. My hockey tournament is on Saturday, so I’ll be there. May bring a friend. No, as this is a Burst Classic Tournament. (Jan. 20, 2019 11:13 PM)ZzDragonzZ Wrote: And finally,is there anyone willing to trade a jolt for hasbro atomic or bearing? I have a gently used Hasbro Black/Purple Atomic, and a fresh Atomic Blue/Blue Atomic. If you have a used TT Jolt, and are able to make it to the tournament, I'd be up for trading. Keep in mind both Atomic and Bearing are banned in Classic though. Also, I don't really have a critical need for the attack tip anymore, I ended up ordering an Obelisk Odin for an Xtreme tip. And, well, an O2. EDIT: But after doing more testing on Xtreme tips, I've realized I have really bad control for them and need something a little less chaotic, like Jolt. What are considered competitive beys for a tournament like this? We don't know yet. Haven't had much after-action report from the London tournament on Saturday yet. Also the format is new. We're in uncharted waters here! I fully intend to bring out some combos people aren't expecting, mostly because I couldn't find an XCalius and I do ridiculous things that do not necessarily help me to win.